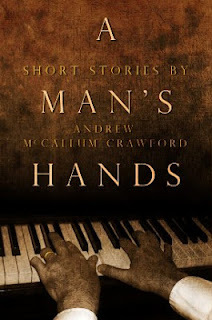 "A Man’s Hands is a concept album of a short story collection. In writing thematically linked stories around different lead characters, [Crawford is] saying something about the universality of his subject – this all-consuming yearning for something lost in the past." 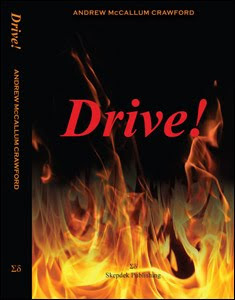 You can read Carol McKay's complete review here. 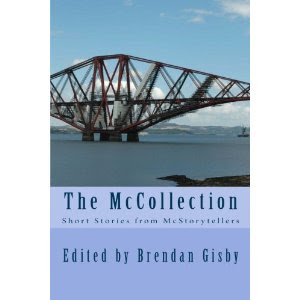 Here at Wee Fictions, we're looking for short stories (maximum 500 words) for our Terse, Cogent, Salient feature in February. There's no theme - the title says it all. The path outside the station was a sheet of ice set at forty five degrees. A ski slope. Andy kept well into the side, planting his feet firmly in the flattened mounds of snow near the wall. He managed to get down to the road without breaking any bones. The area hadn’t changed, the detached houses were still affluent, although the college was further away than he remembered. The razor wire along the top of the fence was a surprise. He watched the padlock on the gate gleam larger as he approached. He’d been expecting the security to be tight, it was the Christmas holidays, but not like this, like a prison. There was a pillbox. 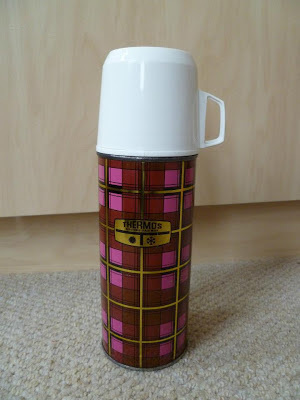 A man in a dark blue bomber jacket stepped out of it. His head was shaved completely bald. ‘Can I help you?’ he said. Andy was so close. Through the gate he could see street lamps in the driveway. A camera was fixed to each one. The guard thought about it then asked for details. He went back into the pillbox and tapped his little computer. He murmured as he read the information on the screen. ‘Have you written all this stuff?’ he said. This excerpt from 'Chicken Soup' is taken from my new collection of short stories, A Man's Hands. You can read the story in its entirety here and here. There is also an extremely thoughtful review of the book on Jim Murdoch's blog, The Truth About Lies. 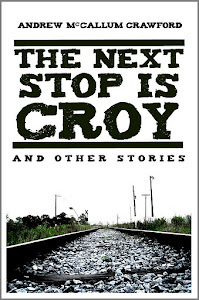 "...Crawford just keeps improving, his short stories are chiselled to perfection..."
"...[the] characters brood and despair as they wrestle with the dark places in the human psyche..."
"... These are spare, intelligent stories that don’t talk down to you; they demand you engage with them and complete them..."
Available on Amazon co uk and Amazon com. He was lost, talking to these people was like it was like he was a foreigner, he spoke English but he didn't know what they were on about half the time. What the hell was a Home Report? He'd been away so long he'd lost the ability to communicate with folk in his own language. Many thanks to Jim Murdoch for this extremely thoughtful review of A Man's Hands, which has just been published on his blog, The Truth About Lies. Perhaps they all are Andrews. More precisely, perhaps they are allAndrew. Perhaps. The title of the collection is A Man's Hands, notMen's Hands. When I read this the first time—at 60 pages it’s not exactly a long read—I didn’t pay too much attention to who the protagonists were in each of the stories. There was ‘the man’ and ‘the woman’ and that was as much as I really needed to know and I did find myself mixing them up. This has been something I’ve complained about before where there has been a cast of thousands—okay, a dozen or so—but never where most of the stories only contain two players. The fact is the names really are pretty much irrelevant and only serve to remind the readers which stories are (officially) linked. I add the proviso because, as I will explain, I think all the stories here are thematically interlinked." The complete review - which runs to 4000 words - can be read here. A dream so vivid you know it will stay with you like the memory of something real. The setting was - is - that place of stones and railings, but the cast is confused, made up of people who didn't exist for you back then. Apart from one. She is waiting; she has not aged a day. You tread carefully because you know where you want this to lead. You take it there, slowly, to the place that is warm and dark. You move in close. Her perfume. God, you tell her. You even smell the same.